Aerodrome Management Services provides Aerodrome Safety Inspections and Aerodrome Technical Inspections throughout Australia. 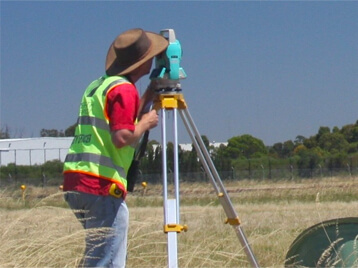 Australian certified aerodromes are required to perform an aerodrome technical inspection at least every 12 months. Our CASA approved inspectors currently conduct ATIs for the majority of certified aerodromes in Western Australia, and many other aerodromes in the Northern Territory and other states. Our fully qualified and approved Safety Inspectors have completed many ASIs at aerodromes throughout Australia. Under CASRs 139.315 and 139.345 regulations, some registered and ‘certain other’ aerodromes must have an ASO completed at least every 12 months. Whether you operate a small community aerodrome, local shire facility, busy mining aerodrome, or a Domestic or International Hub, AMS can accommodate your safety and technical inspection needs. We also perform operational audits relating to business structure and management.